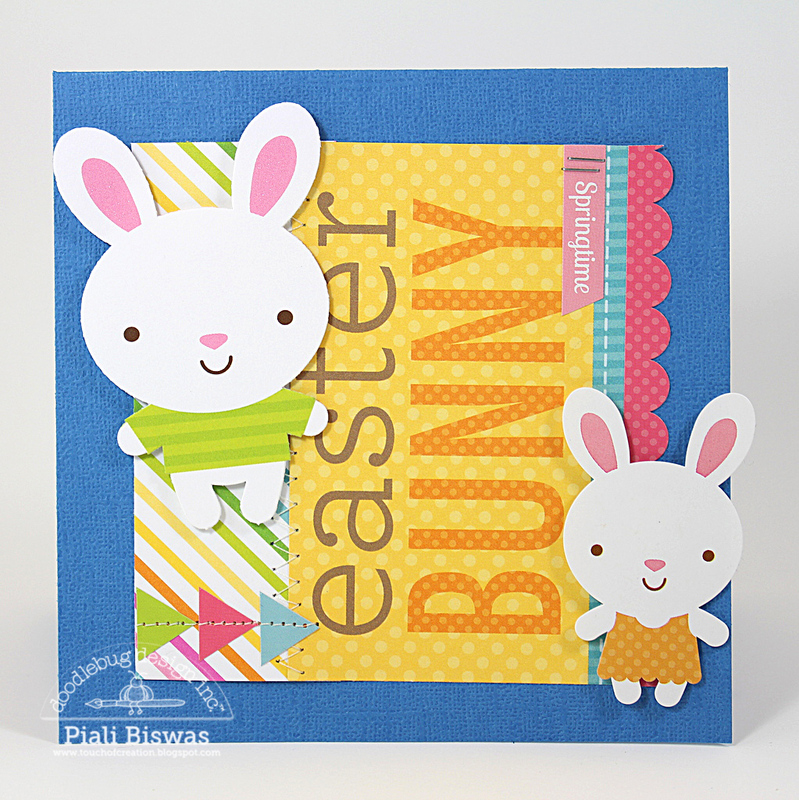 Piali here sharing some projects using new Easter Parade Collection. 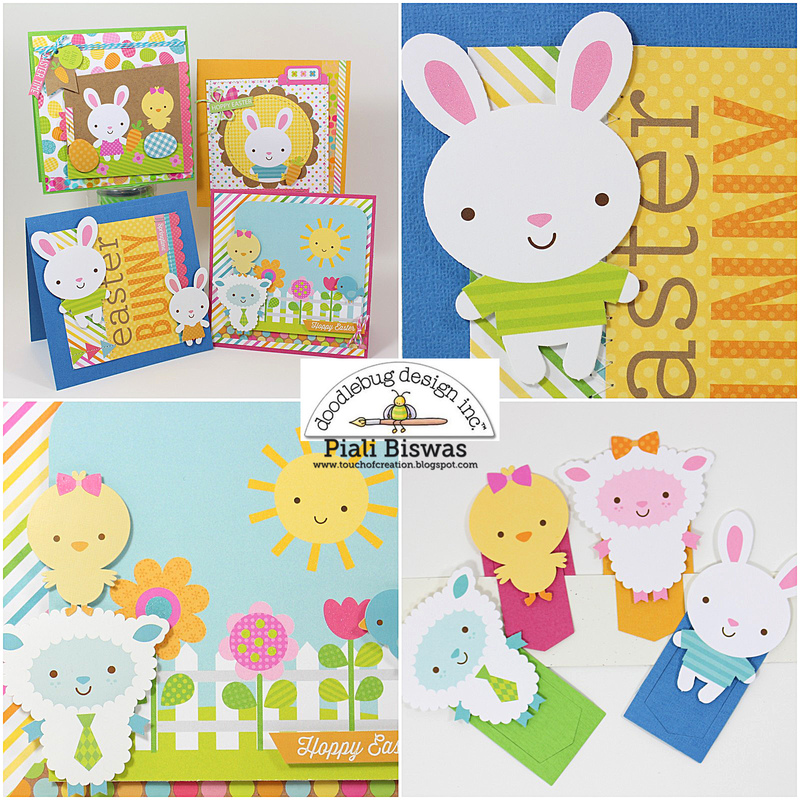 I made few Easter cards...using the adorable critters from Easter Parade Collection. 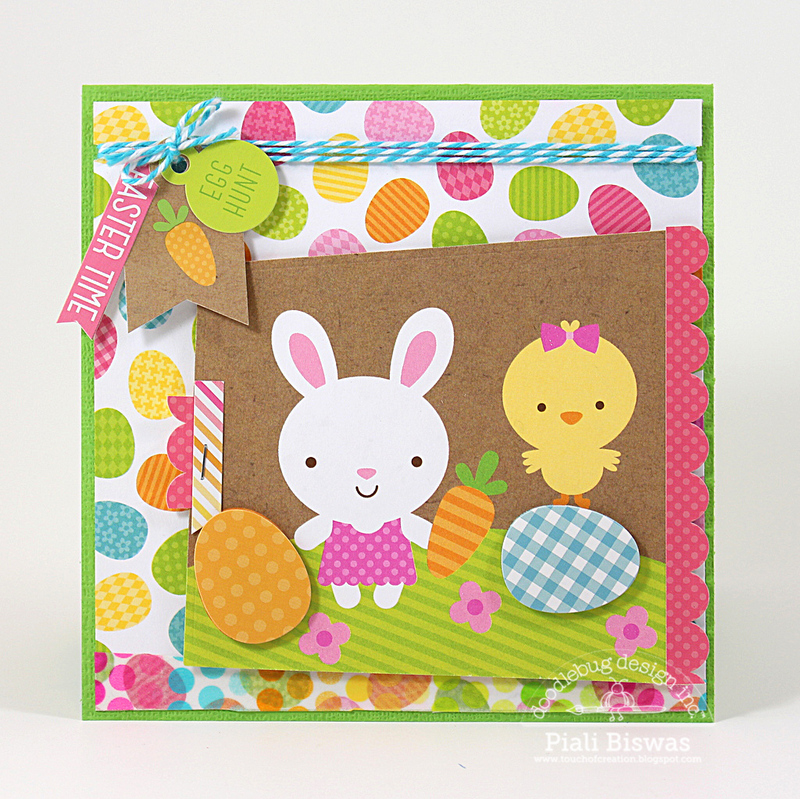 Doodlebug twine are the perfect embellishment for these cards. I love these bookmark, super quick &easy to make!! Que hermosas tarjetitas!! Súper coloridas, me encanta el cosido que les pusiste. Muy bonitas felicidades!! Too cute! Love them all. These are sooo fun and cute! 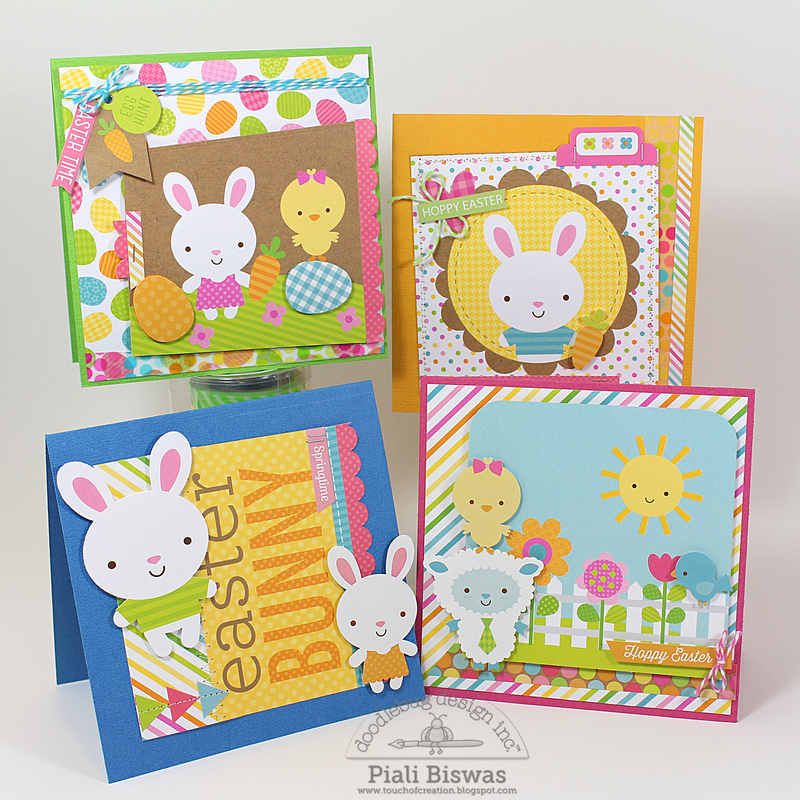 Oh you have made some adorable creations with this cutie patootie set, Piali. Piali, you've outdone yourself. Everything is incredibly adorable! Super cute and fun little notecards - so well done and such a great idea!!! Love that you made bookmarks out of those little characters too!! 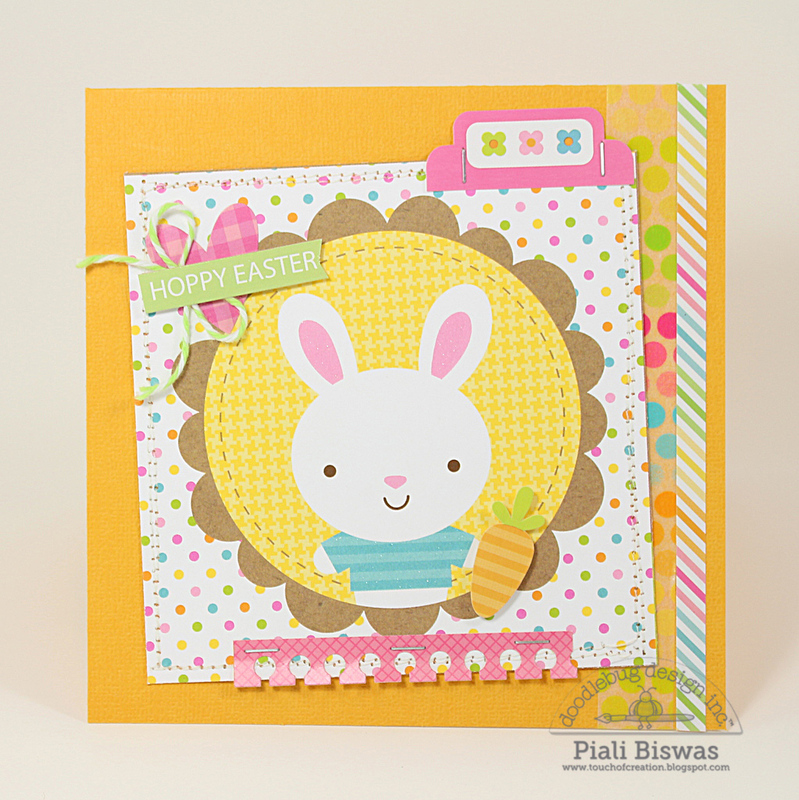 So awesome - Piali - you are amazing!! !